MANILA - If the United States really wanted to avoid trouble in disputed territories in the South China Sea, it should have sent a fleet to stop China from building structures there, President Rodrigo Duterte said. In a conversation with US Ambassador Sung Kim earlier this week, Duterte said he was surprised that America did not utilize its navy’s 7th Fleet, which is headquartered in Japan and patrols the Pacific Ocean, to stop Chinese construction activities once they were spotted by reconnaissance units. “Sabi ko, I am surprised Mr. 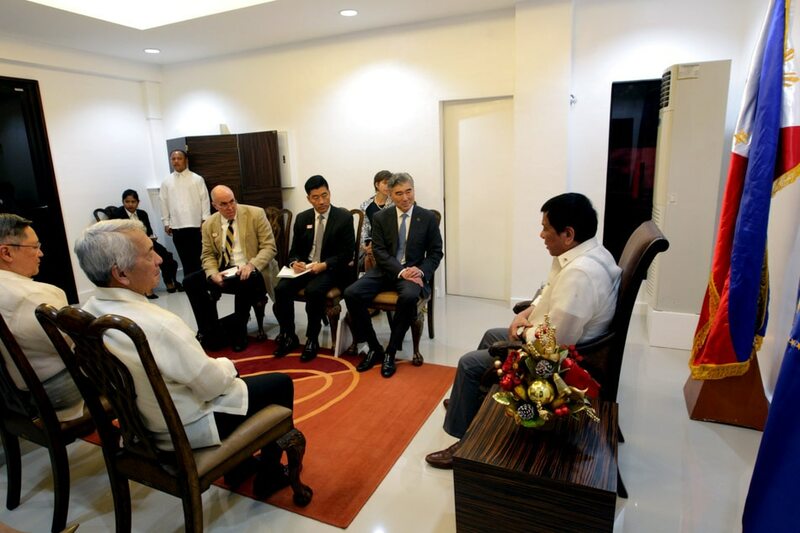 Ambassador, because had America really wanted to avoid trouble early on…why did you not send the armada of the 7th fleet?…and say to their face, ‘You cannot build manmade structures sa high seas,’” Duterte said in a speech in Mindoro on Wednesday. However, Kim said that he was, at the time, assigned to oversee issues relating to North Korea. As early as 2013 and 2014, there were reports of Chinese movements in the disputed islands in the South China Sea, indicating intent to build structures there. China has since gone on to build airfields at the Spratly Islands, as well as a harbor, cement plants, loading piers, communication facilities, defense structures, lighthouses, and went on with dredging activities in areas such as Mischief Reef. China and the Philippines are set to hold talks on the maritime dispute in May. Since assuming presidency, Duterte has adopted a friendly stance toward China. Relations between China and the Philippines worsened sharply throughout the 6-year term of Duterte's predecessor, Benigno "Noynoy" Aquino III over conflicting claims to parts of the South China Sea, one of the world's most strategically important waterways.